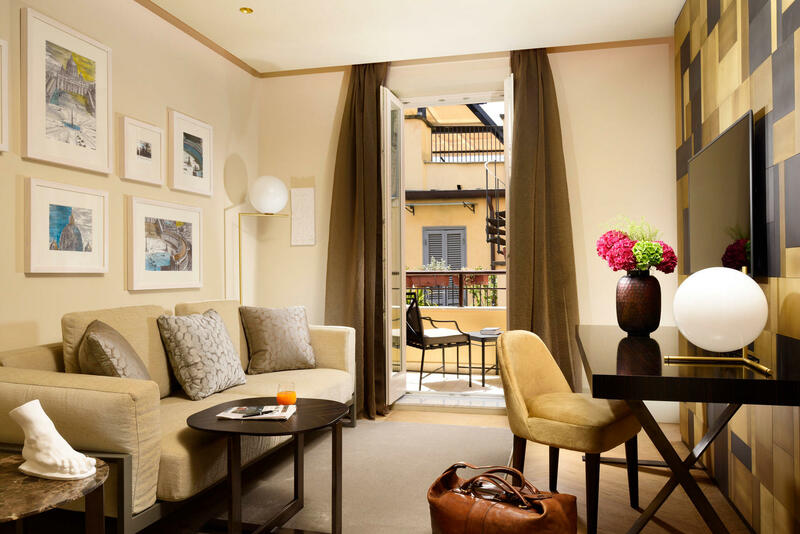 Our delightfully spacious Classic Suites at Hotel Margutta 19 average 42 square meters (450 square feet). 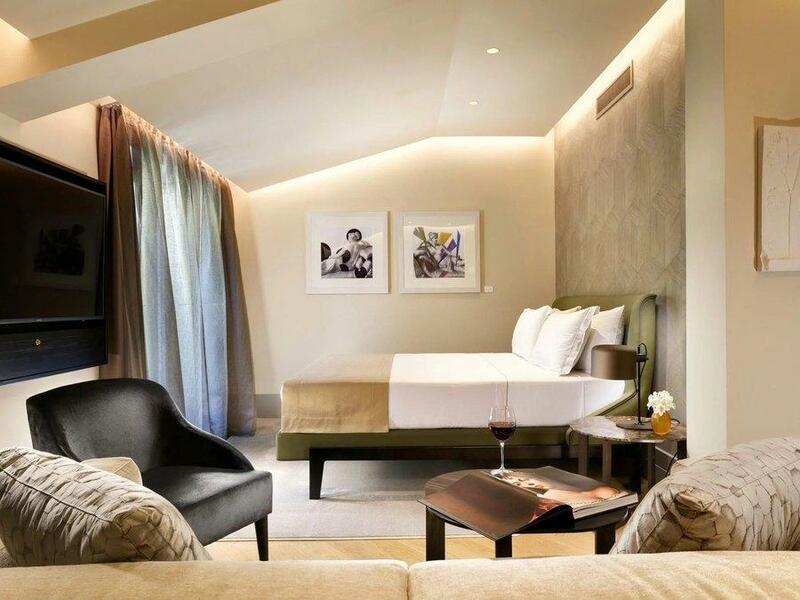 All classic suites have a king-size bed with Frette sheets and a down filled duvet. Each sitting area has a comfortable sofa and desk, and there’s plenty of space to relax while drinking a Nespresso coffee or enjoying the entertainment system. The roomy bathroom is wall-to-wall travertine marble with a freestanding bath and walk-in shower. 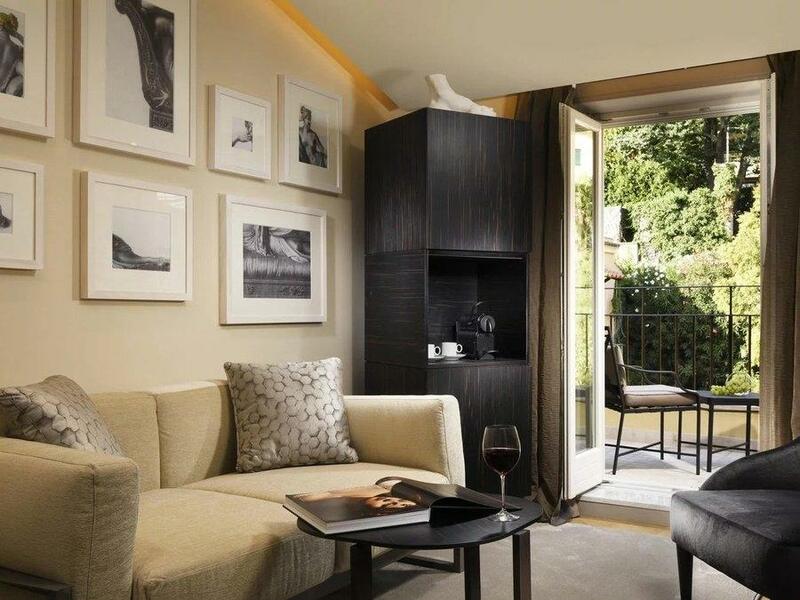 The front-facing suites overlook the beautiful, cobbled ‘artists’ street’ - Via Margutta. Those at the rear of the palazzo have a view of the hotel garden. Some of the suites have a balcony with outside seating.